Ducati chose the Apple iPad’s to launch their first app for all of their “Ducatistas” of the world. The app was built to make the Ducati Dealer experience for customers more efficient than in the past! The new app gives real-time information with a digital display of motorcycles and accessories allowing customers to get a visual of what they are ordering when customizing their Ducati motorcycle. Naturally, Apple made a video with a short tutorial to show customers the basic idea of the apps functions giving a sneak peek as to what to expect at the dealer. Ducati is a well known performance motorcycle company that produces high-end bikes. If you are a fan of Ducati already then you know that it is not often that you get to look this deep into the making of their products. The Ducati brand is unlike any of the big Japanese manufacturers, in fact they are a very small Italian company that, despite their lack of large corporation resources, leads the motorcycling production arena in state of the art technologies and performance developments. The company has beaten the large marques time and time again in racing championships such as World Superbike and MotoGP. In this article Apple explains the pride Ducati takes in the dealerships that they offer their product to in saying that they view the dealers more like “loyal business partners” rather then just a shop location. Ducati makes beautifully crafted bikes with a luxurious appeal to them, so creating this app in house and perfecting it to their standards must be a great deal of excitement for the now 87 year old company. The video also gives a rare sneak peek into how Ducati became the company they are today, as well as an awesome first-look at Ducati’s App in action! The app allows for the customer to view the bike in the colors they want, with the parts that they choose to create a motorcycle truly of their own creation. This app is like Pinterest with a shopping cart. If I owned a shop that sold Ducati then I would add some comfy chairs in the corner and a Starbucks because I imagine that playing with the Ducati App might take awhile. You should check it out and visit your local dealer to view the app, you might get sucked in for hours but I am sure it is worth it! 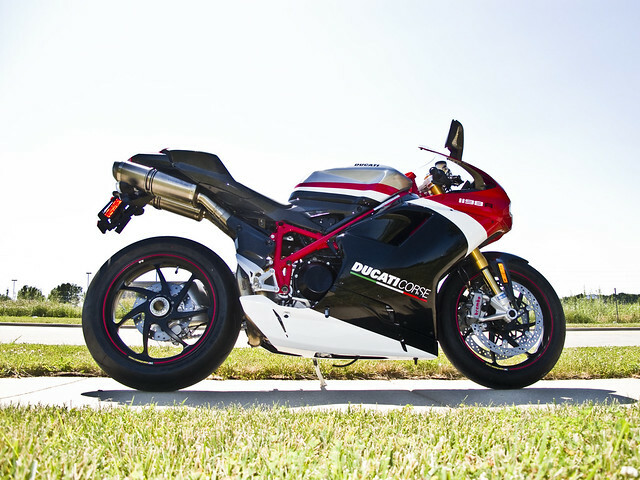 This entry was posted in Fun Stuff, News and tagged apple, ducati, ios, ipad by Natasha. Bookmark the permalink.